Pope Francis has approved the beatification of a Jesuit priest from Dublin for his work with the sick and dying in the early 20th century. Fr John Sullivan (1861 - 1933) was one of 39 to be named in a decree signed by Pope Francis to be beatified - officially recognised as 'Blessed'. 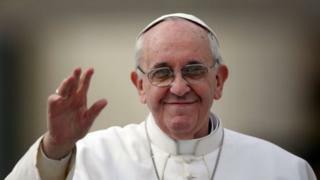 He was declared a 'Servant of God' in 1960 and in 2014 he was made a 'Venerable' by Pope Francis. In certain circumstances beatification can later lead to sainthood. Fr Sullivan was brought up by a wealthy protestant family and was a later teacher at Clongowes Wood College in County Kildare. Since the 1940s Fr Sullivan's supporters have been campaigning for him to be made a saint. The attribution of a miracle is given to those who have died for the faith, while receiving a sainthood requires a miracle. Those named on the decree include Albanian Bishop, Vincens Prenushi, who died in prison in 1949 after being tortured for demanding the formation of a breakaway Albanian church under the country's former communist regime. Albania was declared as the world's first atheist state in 1967. Pope Francis also recognised a further 37 Albanian clerics and aspiring clerics, who were killed between 1945 and 1974, as martyrs. During a visit to Albania in 2014, Pope Francis paid tribute to all those who died.